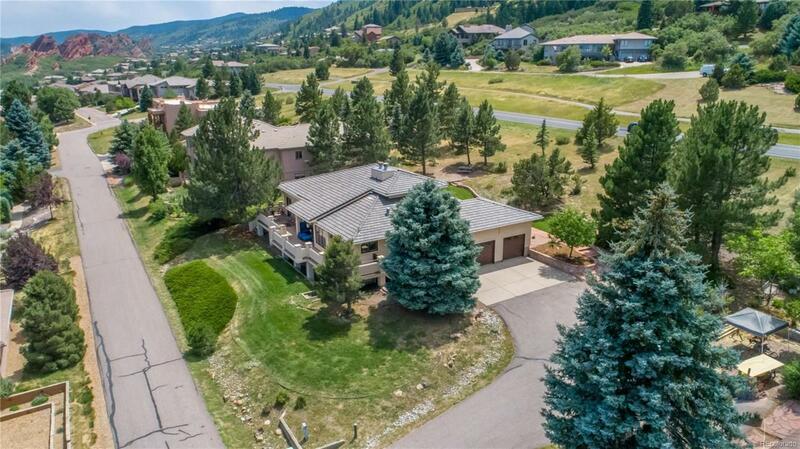 True ranch style home w/ walkout in Roxborough Park! Vaulted ceilings, great room w/ gas logs fireplace and granite tile surround. Main floor master suite, two bedrooms, gourmet eat-in kitchen, powder bath, dining room and laundry can be relocated to main floor. Lower level boasts a large family room w/ media space, two additional bedrooms and full bath, two flex space areas currently being used for craft room and music room. Double water filter system. Redrock, city and Pike National Forest views from this fabulous home! $100K in upgrades/improvements since 2016! Washer/dryer and refrigerator in utility room stay. Garage shelving stays.